im looking for a exhaust system for my gtir. looking for hks,kakimoto, something like that..
ok sounds good, how loud is the mongoose? and where can i found it? ahh nice page, but i cant find a exhaust with just 1. endpipe. do u have also a page for kakimoto ore where i can find this brand? @ Whytie---> ah ok, and how mutch is this one? and what size is the pipe, ore what is usefull for the gti-r? 3" ore 4"? and with the mongoose is the Catalyst removed? ah ok, here is it not allowed. so i Need just the cat back System. but which size is a good one. 4"? mongoose There is no longer available!!! What is there for decent alternatives!!! This is probably your only option. Only get mongoose, or others, second hand. Mongoose not that great really, indeed best bet would be a custom made 3" with sport cat if legal requirement & to your preference in noise etc with 3" elbow fitted too. Where are you located and others might know something local or best option for you ? Highly overpriced on just a BRAND name, not that good either. The cost to buy just that and shipping would go an EXTREMELY long way towards getting a custom 3inch system made. 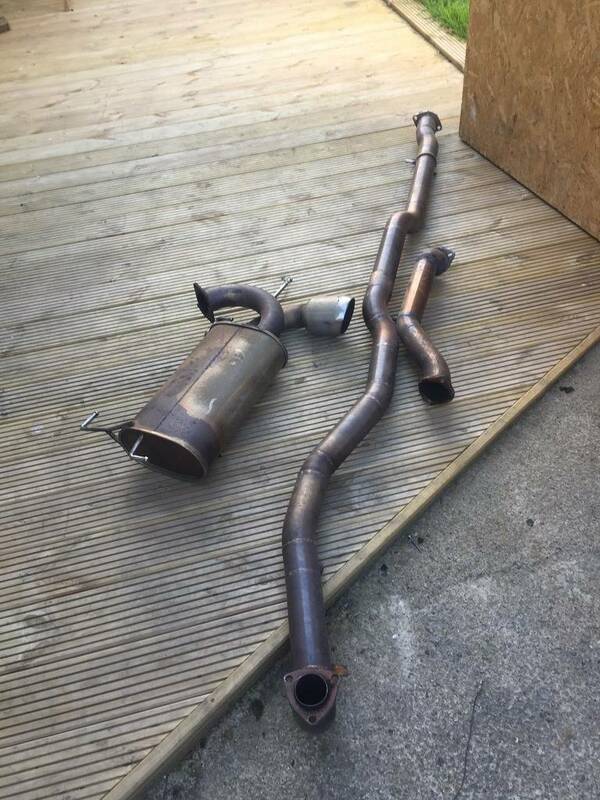 Check out reef custom exhausts in bicester, Ryan who owns / runs it does the exhausts for our race cars, his work is second to none, not cheap, but well worth it.